Hi, guys! Happy Sunday to you!! I used #95 and finished just under 11 minutes. The combo of HP Cleans (hang power cleans) + STO (shoulder-to-overhead) killed my grip, which slowed me down a lot. I’d do 5 HPCs, drop the bar, do one more HPC and then finish out the round with the STOs. The row was like a break! 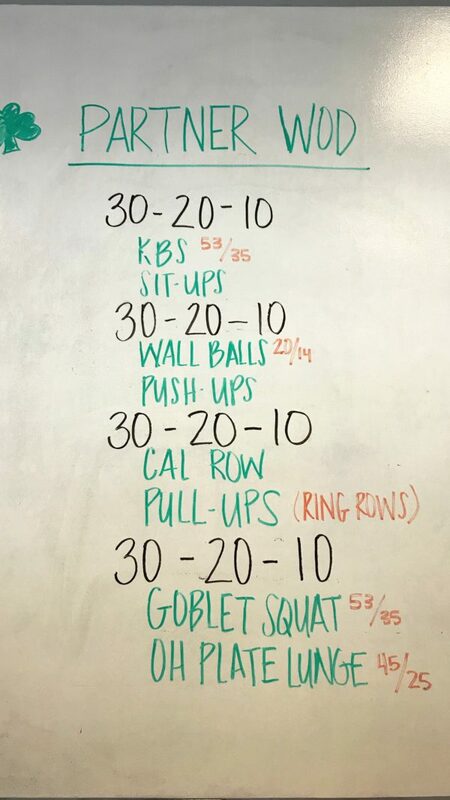 My gosh, this workout was so much harder than I expected. Each round just got more and more challenging. 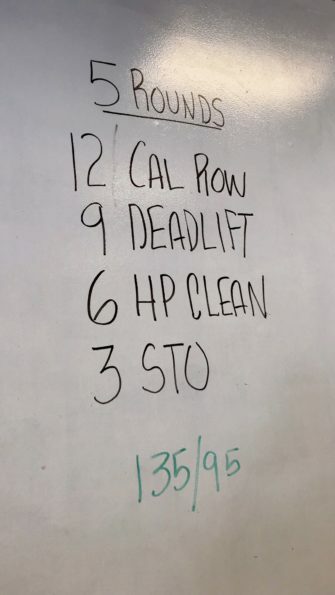 The round of rowing and pull-ups was so tough – I thought it would never end! My partner and I finished around 30 minutes. Can we talk about this breakfast?! 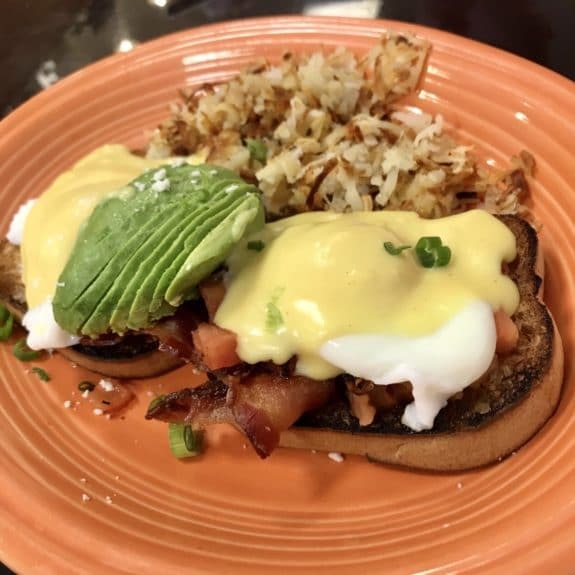 Mal and I went out to breakfast at Little Carmen’s (in Norwell), and I ordered the Santa Monica Benedict, which was two poached eggs, avocado, tomato, and bacon with shredded hash browns on the side. HOLY YUM! Here’s why I’m eating egg yolks again. This was quite the quick and tasty lunch: Chicken Bacon Ranch Collard Wraps. 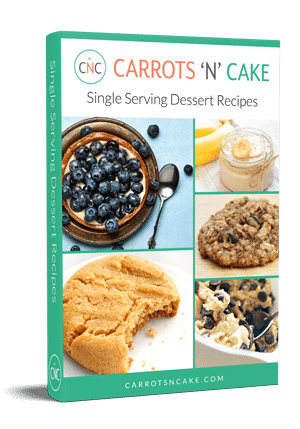 They were so delicious and SO EASY to make. 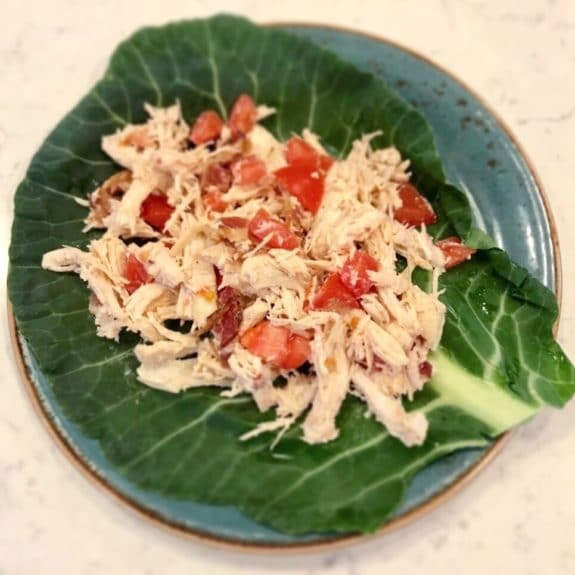 I just mixed together some shredded chicken with ranch dressing, bacon, and chopped tomatoes and then wrapped it all in a big collard leaf. 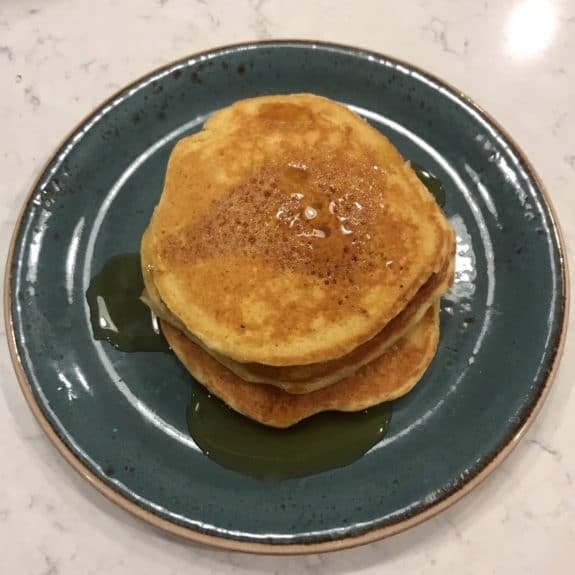 I used Trader Joe’s Gluten Free Buttermilk Pancake & Waffle Mix and SFH vanilla protein powder to make a delicious and nutritious gluten-free protein pancake, which turned out amazingly! I’ve actually been trying to perfect it for awhile now, and I think I finally did it! 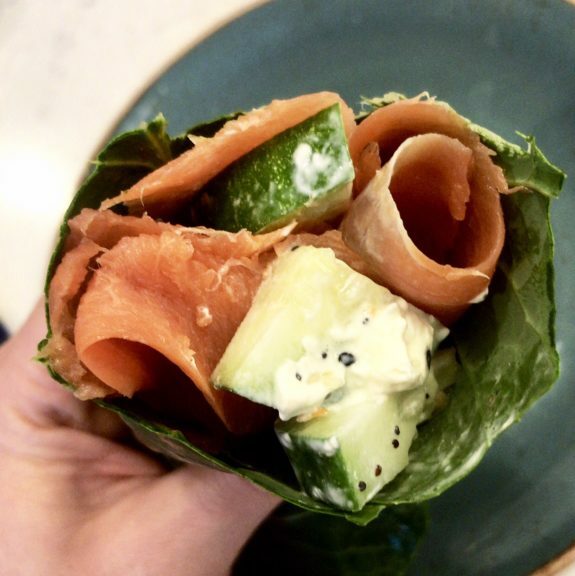 These Salmon “Everything But The Bagel” Wraps were so good and took like 2 minutes to make. I’ll definitely make them again for quickie lunch! 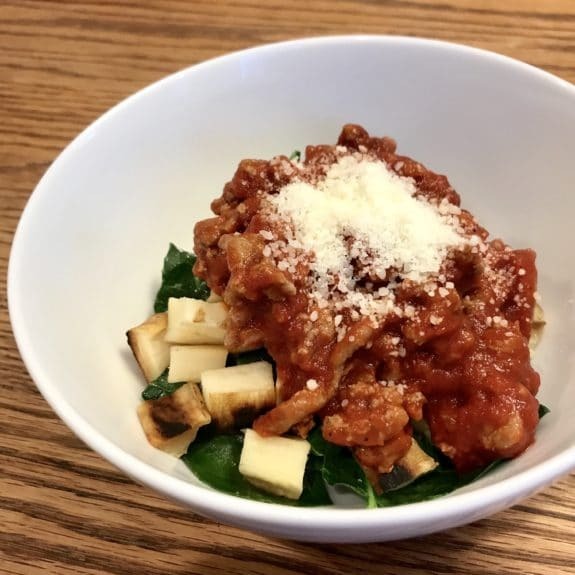 Instead of eating pasta with the boys, I chopped up some leftover roasted parsnips into bite-size chunks and topped them with collards, Parmesan, and a simple meat sauce (ground turkey + tomato sauce). Delish! The Route 53 sandwich from Rosa Farms! 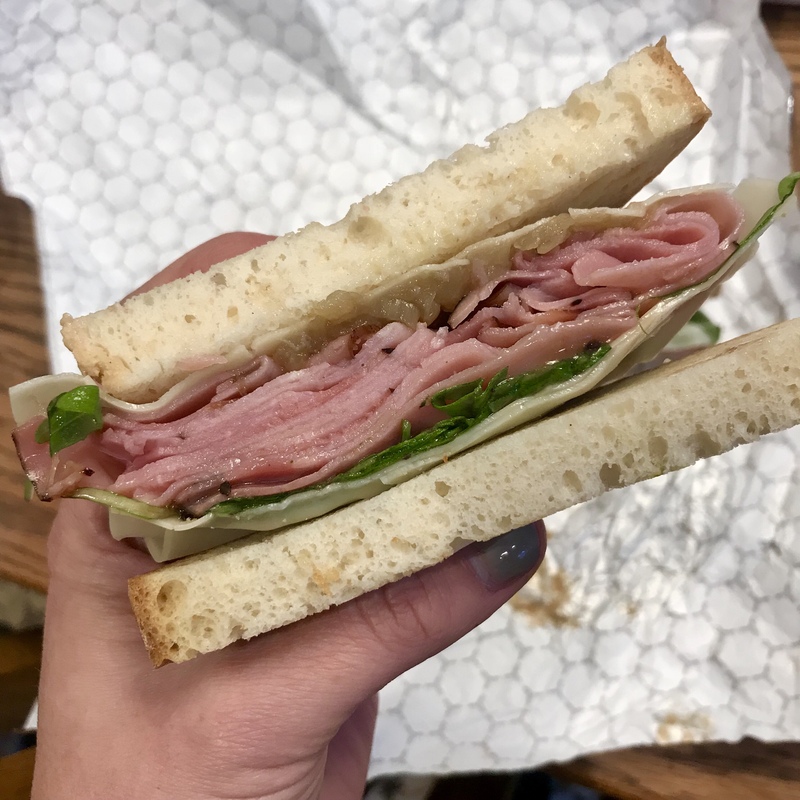 Listen to this combo: Honey baked ham with Fontina cheese, caramelized onions, arugula, and house dressing. Yum! 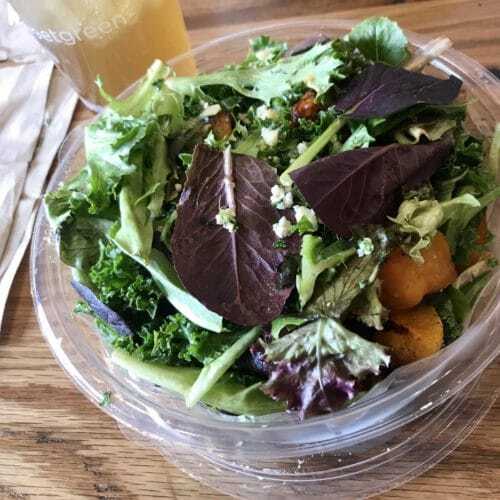 I went out to lunch at Sweetgreen and got their butternut and blue cheese salad. It was SO GOOD! 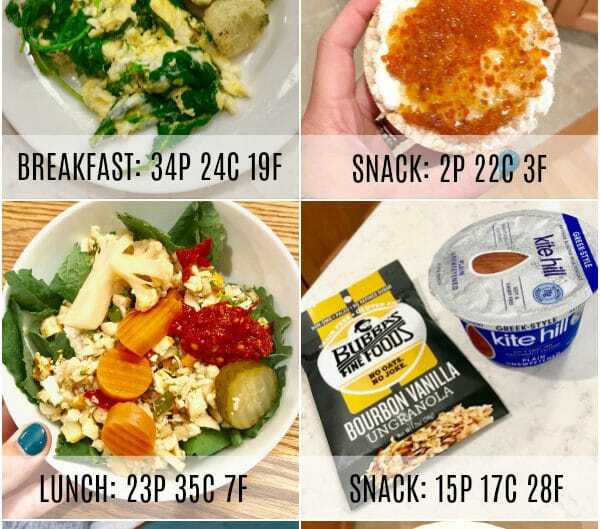 What’s the best meal you’ve eaten recently? P.S. 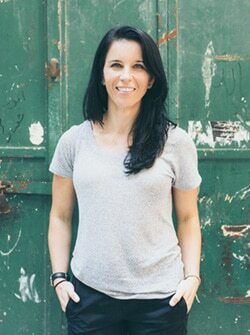 If you’re not getting updates, deals, and discounts via my Beautycounter newsletter, be sure you’re on the list. I’m sending out a sweet deal on Tuesday! That ham and fontina cheese sandwich sounds delicious! My fitness plan is to master 300 kettlebell swings per day! 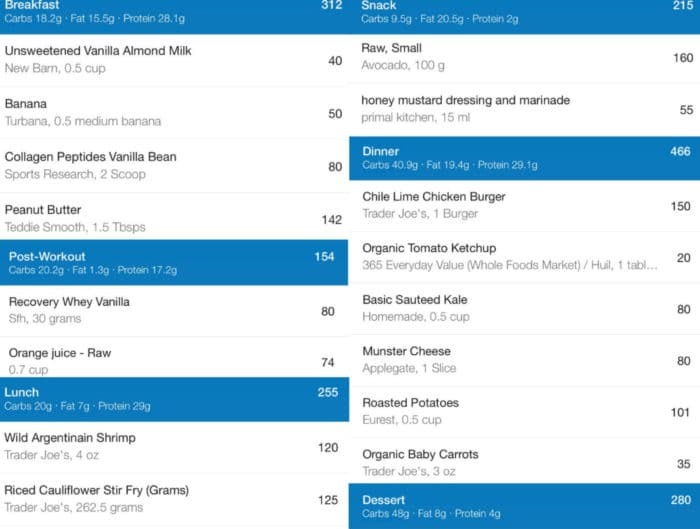 Are you more hungry on certain days compared to other days? 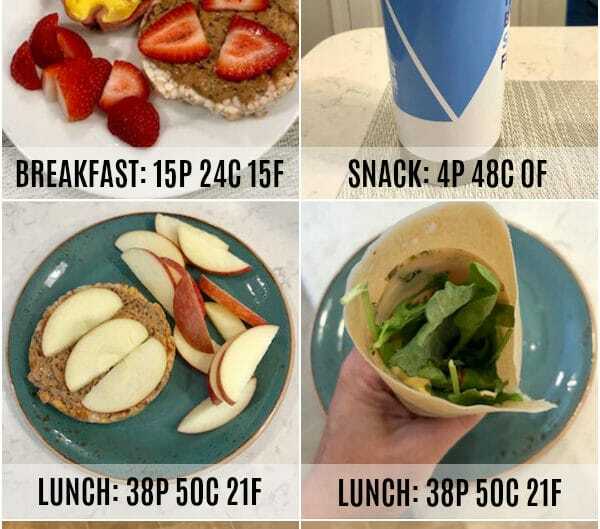 If so come on which days you find yourself to be more hungry on? Best meal I have eaten recently: homemade lentil falafel on whole wheat pita with cucumbers, tomatoes, lettuce and homemade avocado dressing. Served it with fresh strawberries and blueberries. Delicious! 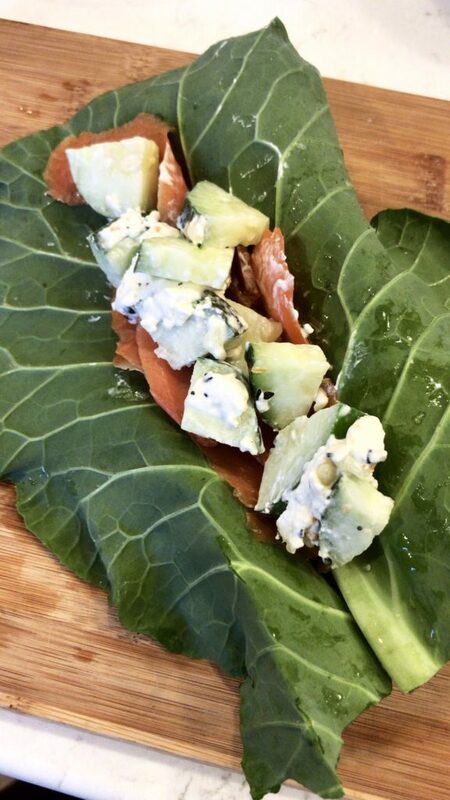 Love making collard wraps! Yours look yummy!